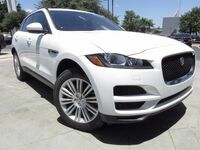 Amplify family adventures and get behind the wheel of a performance-tuned luxury crossover at Barrett Jaguar. A growing segment loaded with elite automotive brands, you will discover no shortage of thrills, style and luxury amenities when you venture into this class. A new addition to the class, the all-new Jaguar F-PACE takes the brand to a new level. Learn more about the Jaguar F-PACE in a comparison that pits it against a luxury mainstay in this 2017 Jaguar F-PACE vs 2017 BMW X3 review. Available in five fully-loaded trim levels - F-PACE, Premium, Prestige, R-Sport and S - the 2017 Jaguar F-PACE can be tailored to fit your specifications. A fetching design provides a bold, athletic style that is emphasized by a powerful stance and translates to a spacious interior with better legroom and cargo space than many competitors. 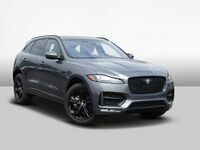 With the Jaguar name attached to the all-new F-PACE, you can rest assured that it comes with a smorgasbord of standard luxury amenities that include - 18-inch wheels, a power liftgate, LED running lights, a panoramic moonroof, an InControl 8-inch touchscreen display, an 11-speaker Meridian sound system and LuxTec interior. Price and affordability are key aspects in any automotive debate and are a key factor in this 2017 Jaguar F-PACE vs 2017 BMW X3 comparison. 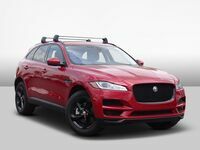 Stock Jaguar F-PACE models powered by the diesel powertrain start at an affordable $41,990 and come standard with all-wheel drive. Drivers who desire more power can opt for the supercharged Jaguar F-PACE, which starts at just $43,390. Base BMW X3 editions start at $39,250, deliver lackluster power and lack all-wheel drive capability. Power and performance are highlights of the 2017 Jaguar F-PACE that drivers will fall in love with. Equipped with a standard 2.0-liter turbodiesel inline-4 power platform that pairs with an eight-speed automatic transmission with paddle shifters, the F-PACE delivers exceptional power and fuel economy. These elements translate to a fun-to-drive 180 horsepower and 318 pound-feet of torque that provide an impressive 26 mpg in the city and 33 mpg on the highway. An upgrade to the 3.0-liter supercharged V-6 power core will provide a herculean 340 horsepower and 332 pound-feet of torque. Married to a responsive eight-speed automatic transmission, the powerful Jaguar F-PACE will make 18 mpg in the city and 23 mpg on the highway. This elite level of power translates to the track as well with a zero to 60 mph time of just 5.4 seconds and a top speed of 155 mph. BMW X3 models counter with a standard 2.0-liter TwinPower Turbo inline-4 engine that manufactures a lackluster 240 horsepower and 260 pound-feet of torque. Paired with an eight-speed automatic gearbox, the stock BMW X3 makes 21 mpg in the city and 28 mpg on the highway. An upgrade is available for the BMW X3 to the tune of a humdrum 300-horsepower 3.0-liter TwinPower Turbo inline-6 engine that falls well short of the supercharged Jaguar F-PACE. Versatility is another element that sets the Jaguar F-PACE apart from its competition. An available 33.5 cubic feet of cargo space behind the second row is best in the class and dwarfs the 27.6 cubic feet of space in the BMW X3. When you need even more space, the 40/20/40 split-folding rear seats can be laid flat to create a cavernous 63.5 cubic feet of cargo space.